The first class filled up so fast, we decided to add a second date! 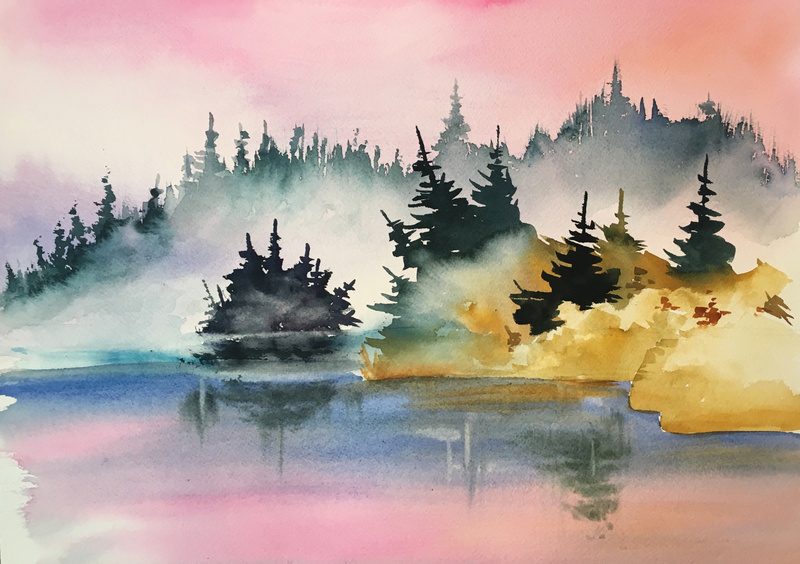 Janet Cardinal, a favourite instructor at The Gilded Rabbit, will introduce a fun, informative, and relaxed class that will teach students step-by-step how to achieve a Misty Morning in watercolour. Sign up in-store, from our website, or over the phone with credit card. Class fee is non-refundable and non-transferable to another class. If you have not paid for the class before the end of registration your spot is not guaranteed. Registration deadline is 24 hours before each class. Class fees will be reimbursed if the class is cancelled or if registration minimum has not been met.